Below you can view all the townhouses for sale in the Gates At Parkside Village subdivision located in Marietta Georgia. Listings in Gates At Parkside Village are updated daily from data we receive from the Atlanta multiple listing service. To learn more about any of these townhouses or to receive custom notifications when a new property is listed for sale in Gates At Parkside Village, give us a call at 404-998-4102. Easy Access To Walking Trails, 75, 575, Downtown Marietta, Shopping, & Restaurants. MLS#6537929. Chapman Hall Realtors. Two Miles From Wellstar At Kennestone Hospital. MLS#6530726. Keller Williams Realty Atl North. Kennesaw Battle Field Nature Trails Are Practically At Your Doorstep. MLS#6522429. Atlanta Fine Homes Sothebys International. Next To Paved Walking Paths Bring You To The Marietta Square, Walk To Farmers Markets. MLS#6517000. Atlanta Communities. 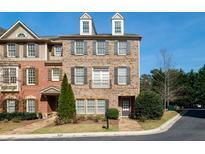 Perfect Location Near Marietta Square Shopping & Restaurants And Across The Street From Kennesaw Battle Field Walking Trails. MLS#6101914. Maximum One Greater Atlanta Realtors.